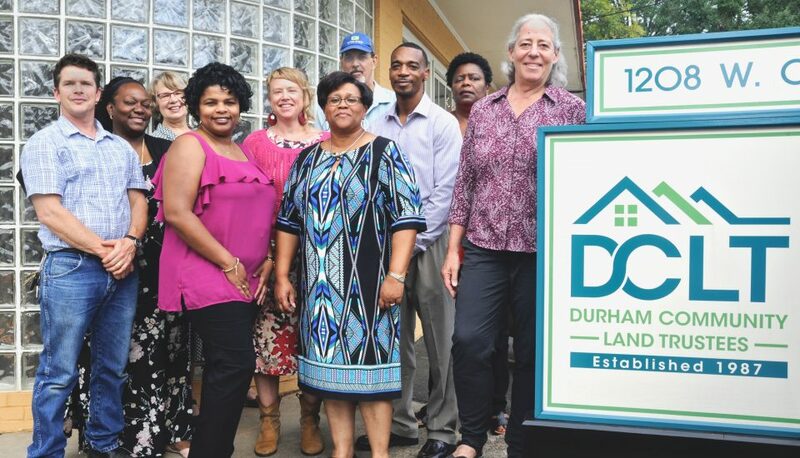 DCLT is Building, Managing, and Advocating for Permanently Affordable Housing in Durham. Read Thompson Reuters Foundation’s story celebrating DCLT’s Shared Equity model for community wealth building. 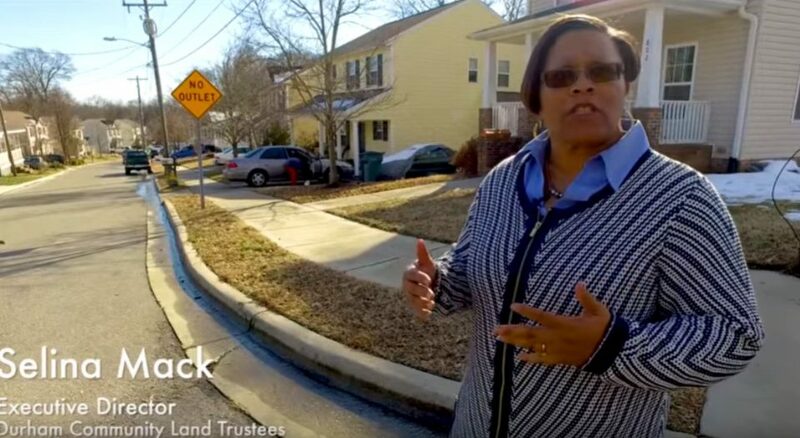 CLICK TO WATCH VIDEO PROFILE of LeTondra Jeter & Sabrina Jeter-Chambers, two sisters who are second generation permanent DCLT homeowners. 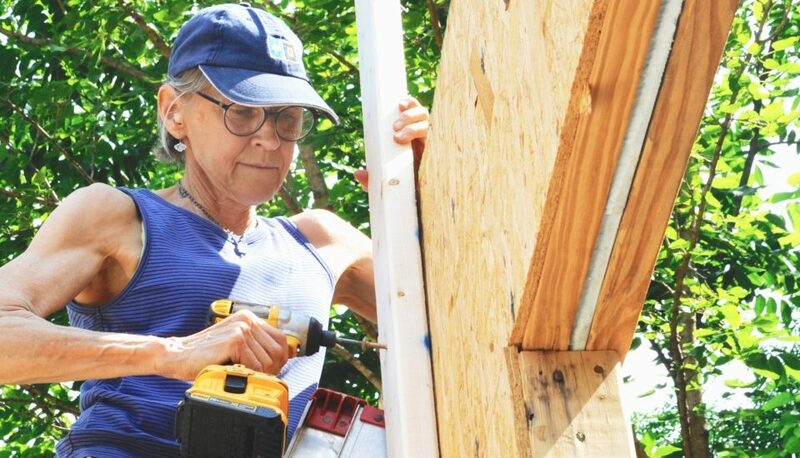 We’re not afraid to roll up our sleeves and do the hard, dirty work to preserve our communities. Learn how you can get involved with DCLT. DCLT is managed by a small, dedicated staff run like a small family business. We know our residents. 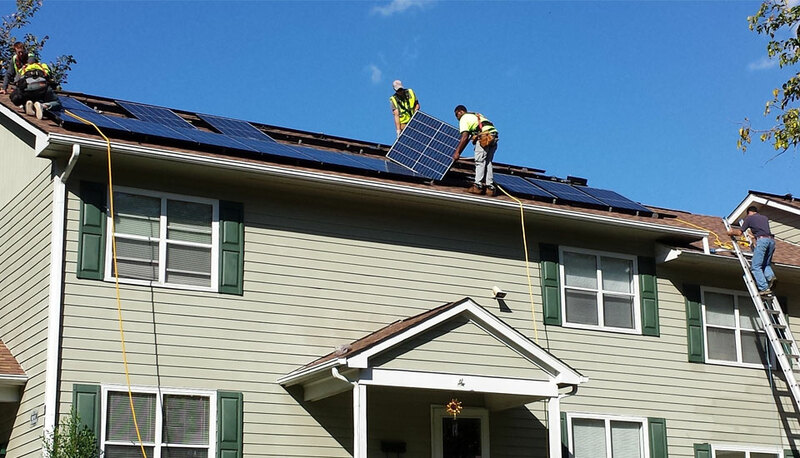 DCLT builds energy-efficient homes to save our residents money on their utility bills. 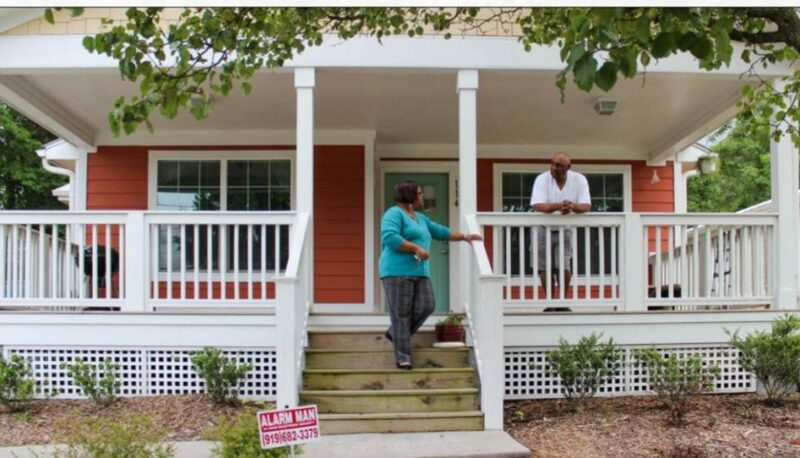 See more of our work in Durham’s neighborhoods. 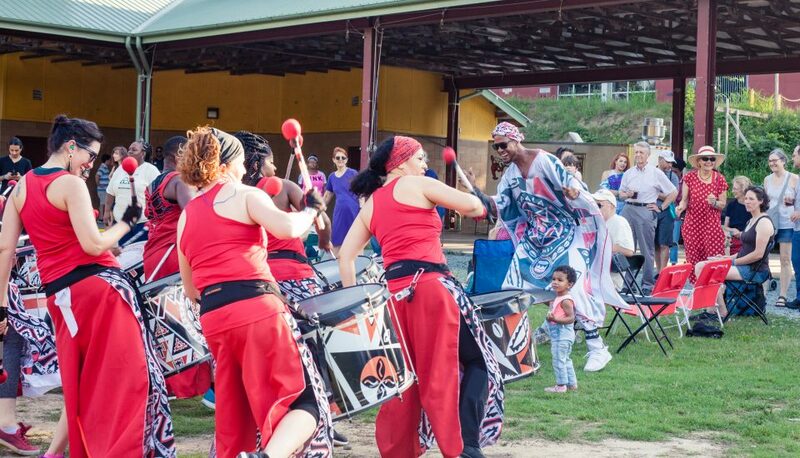 We Threw a Party in Durham Central Park. Over 200 people came to our Community Celebration Annual Fundraiser on June 1, 2018.